The 50 second teaser debuted during the halftime time break of the World Cup Final between France and Croatia, being shown in the U.K. on BBC One. Last summer, the BBC used another major sporting event, Wimbledon, to announce the first ever woman to play Doctor Who’s leading role, Jodie Whittaker. The actress was already familiar to U.K. audiences for her role in ITV’s Broadchurch, coincidentally written by new Doctor Who showrunner, Chris Chibnall. 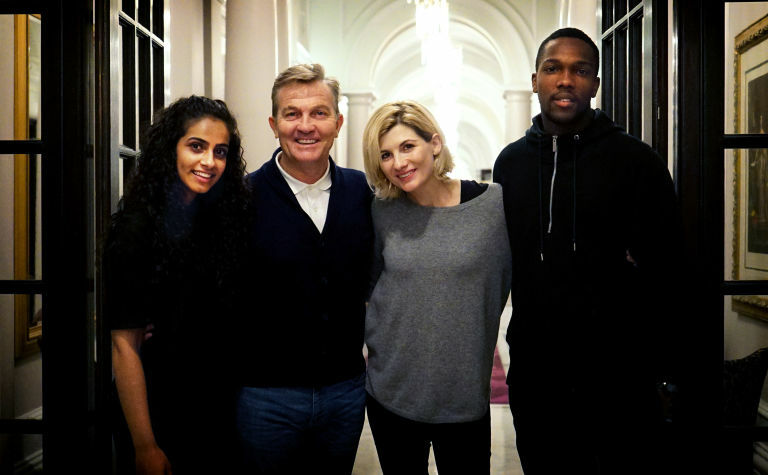 Season 11 sees Whittaker joined by new companions Graham (played by Bradley Walsh), Ryan (Tosin Cole) and Yasmin (Mandip Gill). For more footage from the forthcoming series itself, all eyes now turn to San Diego Comic Con where a special Doctor Who panel, featuring Whittaker and Chibnall, will take place later this week.